The reason I did this video is because I want to bring awareness about ADHD in children. 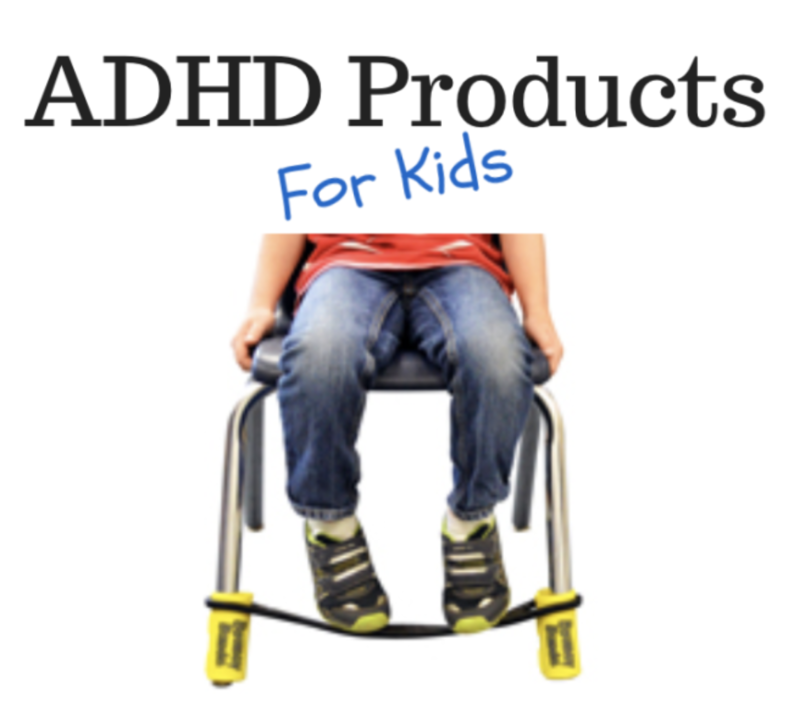 I want to educate people about how much the lives of children with ADHD are affected. It affects them in all aspects of their lives; It affects them primarily with school, social situations, and their self-image. 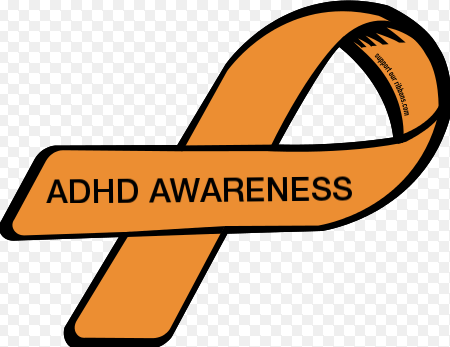 Having ADHD is very challenging, frustrating, and aggravating for both the child and the child’s family. Please share this video to help spread awareness about ADHD in children. If you are a parent, please show your child this video as well and teach them to have love, kindness, and compassion for their classmates – all of them. Teach your child to not exclude anyone. 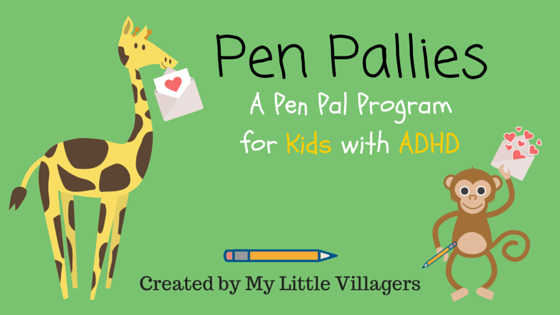 Chances are, at least one of your child’s classmates has ADHD and needs a good friend in their lives. Simply asking a child to play with them at recess could mean the world to a child with ADHD. All children deserve and need to be loved and wanted. As a first grade teacher of 24 years, this video really hit home. How frustrating it must be for these kids. I think all the time about what it feels like when my mind is racing and I can’t focus on something, but as an adult I can stop and make a list or self talk, these babies aren’t equipped yet. xxoo Giuliana Mommy is going to help you develop the skills you need! Thank you for your comment, Diane. I know it’s a tough video to watch, but please feel free to show it to your class to help spread ADHD Awareness. It’s so important for our children to follow the Golden Rule, because you never know what someone is going through. Thank you. Thank you very much for your comments, Chantelle. I really appreciate it. Thank you also for sharing your daughter’s story. It’s comforting to know that there are other children just like my daughter. Thank you very much for writing this, Alexa! Reading what you wrote to my daughter put a smile on her face. It gives my daughter and I hope for a bright future for her. I know ADHD is a daily struggle, but it also comes with so many powerful and positive capabilities too. You sound like a wonderful young lady and although we don’t know each other, I want you to know that I am proud of YOU. First, I want to apologize myself, English is not my native language and perhaps I’ll make a lot of mistakes. 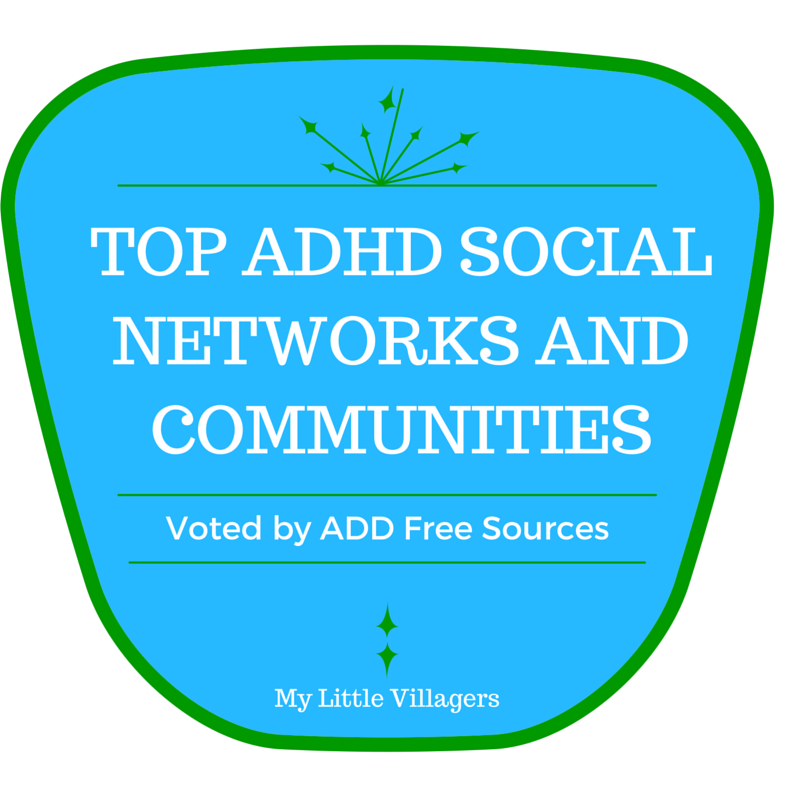 I am an ADHD adult, mother of two ADHD children, and I do recognize myself in her testimony. I do recognize my youngest son too, he also has anxiety issues. We perform homeschooling now, after a lot of difficulties with different teachers. I think our children are pure and sensitive, beautiful and brilliant. They have a huge potential to express. Thank you very much for your nice comments. (Your English is great, by the way.) You are absolutely right about our precious children. Giuliana would love to receive a card from you. Maybe our children can be penpals. How old are your children? As you already know, Giuliana is six. I need your complete address to send our letter since France. Note: I also will show your (useful) video to my class because we are discussing learning difficulties. Thank you, Leonardo! I think it is wonderful that you are teaching your class about ADHD. I would love to help you and your class out. Please email the questions to cristinamargolis@me.com. Have a great day! Ms. Margolis, first of all, thank you for your willingness to answer some questions of my friends from university. I decided to make them right here to avoid repeated questions from other readers. Well, I showed the video to my friends that study Education with me and (of course) they loved Giuliana. We are learning more about some ADHD issues and some questions arose. 1) In one of your texts*, you said that some adjstuments (accommodantions) were made for Giuliana in her school, so that she could improve her learning. I’d like you to talk about some particular adjustments that are not clear to me, if possible use examples so I can share and contribute with my class. These are: “focused area for work”; and “Reminders to focus”. 2) Some authors criticize the use of drugs to treat ADHD. Some of them think that ADHD don’t even exist (ABSURD!). Well, my friends are curious to know if your daughter uses drugs and wich drugs she uses. This is very personal and I will understand if you do not answer. I think they are curious to know the reality in USA and they created a conexion with Giuliana because the video. If she doesn’t use drugs, how is the treatment? Well, thank you again for the video, for the rich blog and for the willingness. Hugs (from Brasil). Have a fabulous week. Hi Leonardo! I am SO sorry it has taken me so long to respond! 1. “Focused Areas For Work” refers to physically separating Giuliana from her classmates distracting her and anything else that might be distracting, like a box of crayons on her desk she might be tempted to play around with when she is supposed to be reading a book. “Reminders to refocus” is when the teacher sees her daydreaming or talking to her friend instead of doing her assignment. The teacher usually touches her shoulder to get her attention first and then tells her what the assignment is that she should be doing. 2. Deciding to give our daughter medication to help her with her ADHD was a difficult decision my husband and I had to make. We argued back and forth about the pros and cons, but ultimately, we felt that medication would help her (and it has). She is currently taking 18mg of Concerta. She only takes it on school days. Thank you again for your interest in the video and my daughter’s ADHD. I wish more people in the world were like you and took an interest in learning more about ADHD and bringing ADHD Awareness to the world. Ben and I are sending Giuliana a letter ASAP! He is 6 and was surprised to see someone else going through the same thing. We only wish you all lived closer so we could set up a play date! I shared this through my Facebook and Tumblr account. We will also add in the letter our address if she wants to write back and my phone number in case they want to be over the phone or FaceTime friends along with writing to each other. Jamie and Ben, thank you so much! We really appreciate it! I know your letter will put a smile on Giuliana’s face, which as you know as a mother yourself, will mean the world to us! I’m sure Giuliana would love to write Ben back too! Wow this hit home for me could not but to cry. My son has ADHD, ODD Anxiety and high function Autism. The girl in the video sounds like my son. My son has actually mD and the boy sounds like my daughter. 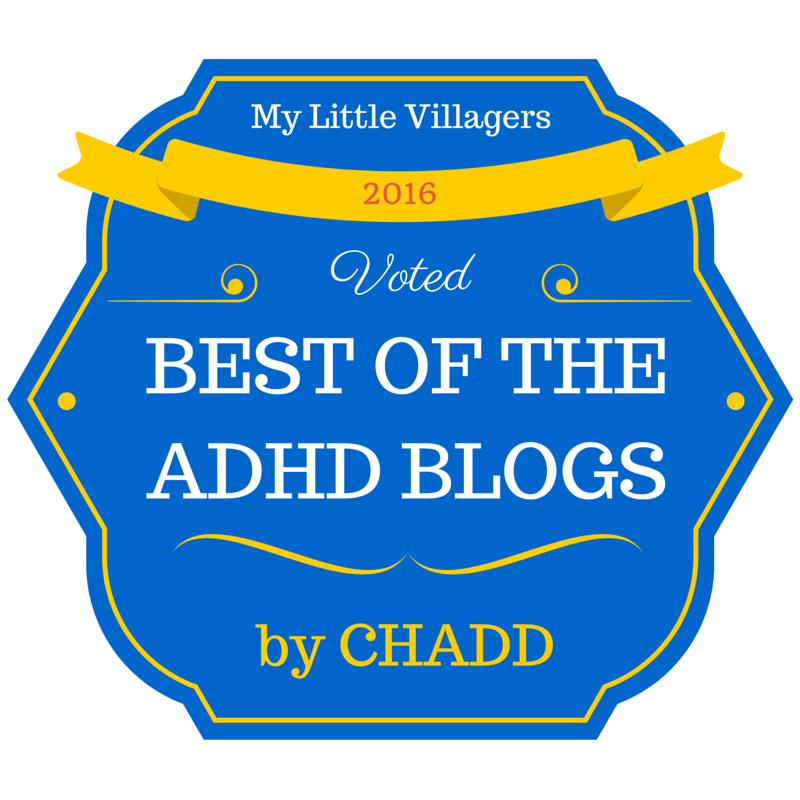 I knew right away which child had ADHD due to one simple thing the eye movement. Thank you for posting! It’s such a relief to know that there are many other children like my daughter. Thank you for sharing! Do you do anything nutritionalally? Have you had any physical tests done like blood work and allergies? All those things matter. I know. I was that little girl 30 yrs ago. Now as an adult tryong to help my 5 yr old. Magnesium alone helps a ton. I cannot even get into it all here. However….this video shows a big difference between these 2 kids BUT there is no exact ADHD or ADD personality. I wish you all the best. Give her confidence and the knowledge about what shes been “labeled”. Thank you for your advice! I will definitely check into Magnesium for my daughter. And I agree with you 100%. There is no such thing as an “ADHD Personality.” The purpose of the video was to demonstrate that ADHD is so much more than simply not being able to focus or not being able to sit still. It can affect people in so many different ways. I see so much of myself in Giuliana. As a 23-year-old who was only finally diagnosed about 18 months ago, I feel so much relief for girls who are diagnosed in childhood or adolescence. It’s really tough, but having a support system makes a world of difference. You’re doing great, Cristina. And Giuliana, you are a lovely human being and your experiences are important; I believe in you. A lot of people are now getting diagnosed in adulthood, so you are not alone! 🙂 Thank you very much for your kind words and advice. We really appreciate it. Hello, I felt deep emotions watching this. I relate to your little girl so much. I’ve been recently diagnosed at 20 (I’m 21 now) and I was surprised that not only could I, a girl, have ADHD but also that there was more than one kind of ADHD. I admire you for talking and helping her understand herself. I’d like to send a letter or a post card but I have social anxiety and I’m not quite sure what to say, or what kind of letters you’re hoping to receive. As I was watching this video it reminds me so much of my daughter who is 5. She was diagnosed at 3 with odd and then at 4 she was diagnosed with adhd and anxiety. She also has been diagnosed with having sensory issues. She answered the questions you asked just the way my baby does. This video really hit home for us. Thank you for sharing it! Are you Guiliana’s Mum? Oh My Goodness…what a beautiful little girl she is. She is so pretty and intelligent and thoughful. When I asked my mother to watch this, because I wanted to explain to her how I felt (I’m 51 now) I asked her to watch first and tell me which child does she think has ADHD. She said neither have it. She just doesn’t get it. How it feels to be like this. I get it from my father, who was an abusive alcoholic but very intelligent. My mother’s ignorance has caused me just as much sadness and dysfunction as my father’s alcoholism and violence. She said to me one day ‘I don’t know why you’re like this. I’m not like it’. Well…obviously, you’re not in our father’s gene pool. I have often said, like Guiliana.. ” I don’t want to be me. Its too hard”. I am in tears writing this due to the pain I have felt having ADHD traits & depression & anxiety. The irony is, your daughter is very pretty and actually looks like my very pretty sister 1 yr older than me, my mother’s favourite. I’m not pretty like her. I’m OK but not stunning. Then 6 yrs later my parents had my extremely pretty younger sister after me and she was adored by everyone. I am liked for my kindness and compassion but you experience such harshness and bullying as a child when you’re different. I had dog poop thrown at me in the street by some boys, my older brother bullied me all the time, I played alone alot, I had few friends. I did have friends but never more than one or two until Yr 9. Then my clown behaviour took over and I was friends with everyone. But as an older adult many have diminished because of anxiety & depression. I would love to send Guiliana something Australian. Will she get it if I send it to the above address. Please tell her I think she”s beautiful and kind. You can delete my long comment if you like. I didn’t really want it to be public. I just wanted to be able to talk to you and tell your daughter how beautiful she is. I absolutely adore your beautiful daughter. Thank you so much for sharing this video. My daughter also has ADHD and often says similar things about herself. She often feels like no one else likes her or wants to play with her. She is in 3rd grade now and is on medication, which has helped. But even still, she is aware of being “different” and has come to accept herself, but at the same time, often feels and thinks some of the same things as your beautiful Guiliana. The beautiful thing about our girls is how sweet and caring and kind they are, how much they recognize others and tend to others needs. And my daughter has an amazing artistic ability. Please give Guiliana extra hugs and kisses tonight and tell her a random stranger thinks she is perfect just the way she is!!! Also, I truly love her eyes. They are bright and beautiful and a reflection of her soul! Good job mama. I saw myself in your daughter’s answer as I was when I was little but also how my cousin is now . However has changed and taught myself to see me for who I am, a good and confident young woman which I believe will come to her with the right encouragement and support! Hope everything will be good for you in the future, many hugs from Sweden! Hi 🙂 I am 37 and 2 yrs into a degree in education and Learning. Having always multi tasked, been very forgetful, disorganised and shot concentration, I started to question why earlier this year. I’m going for ADHD screening when the next semester starts in September. I found an extensive list somewhere on the web for symptoms of ADD/ADHD and my husband was like, this is so you! I think I’m more inattentive but I do get bored so quickly too. My primary schooling was in the 80s (add/ADHD was still pretty unheard of then) and nothing was ever said when I left school in 1995. I didn’t revise particularly, that required effort! Now on my degree, 10/12 assignments so far have earned me 1sts, yet I am never satisfied with my high marks. Confidence is a big issue for me and always has been. I was just like your daughter when I was young. I’m 27 now and most of the time people think I’m 22. This is for me a good thing and one of the reasons is my ADHD, I’ve always been lagging on age and have been more playful. I didn’t have much friends when I was young. But tell Guiliana she will meet people that understand her. My best friend from high school also has ADHD, later I met more people with adhd and connecting with them is so easy. Atm I have a lot of non-adhd friends and I’m sure your daughter will have too some day. I think adhd for girls is much more difficult then for boys, because it’s less accepted but luckily my hyperactivity is almost gone. A tip for the future, when she is like 12+: I tell people (I get close with) I can be annoying sometimes (talking when I’m not supposed to, hyperactive or whatever) and I ask them to just be honest about it. Just say it immediately, so I can adjust. At last I want to say that I’m really happy now, so I know she can be too. Keep her positive! This is the first time ever that I try to post a comment for anything English on internet because I am Iranian and English is not my mother tongue but after watching your video I felt I should say something! Firstly I was soooo angry I wished I could find the mother of the girl to say I feel nothing wrong in her nothing at all so I tried to find the publisher and understood that you filmed your daughter …what a relief! Madam with all respect to what those psychologists do to “fit the misfit” I think at least they are wrong about your beautiful daughter. let us compare two child with each other the boy is careless in responds and so shallow in comparison with the girl that has precise responds both logically and verbally and also she seems very deep an analytic. 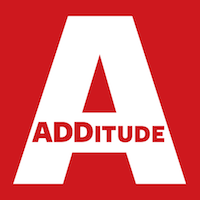 Just pay attention to the way she puts her responses semiotic wise for instance when she is asked why she is giving attitude towards her mother she reply: “it depends on how good the day is. when I have a bad day I get all grumpy and negative and when I have a good day I get all positive and happy.” here you see how the sentences are put together she uses equal amount of words for describing both good and bad day and also the formation of sentences for a good and bad day is exactly the same i.e. “all grumpy”+ negative vs. “all positive “+happy and we have grumpy vs. happy (some kind of rhythm is also could be heard) and positive vs. negative. Do u really think her mind just jumps???! I don t think so .SHE IS A THINKER. She thinks deep and it seems slow for a 6 year old if we define a six year old as something like the boy! another example is what she replies when she is asked about what does she like about herself she answers:” I like myself because I like Jesus and God and they are really important” CAN U IMAGINE HOW HARD IT IS FOR A 6 YEAR OLD TO UNDERSTAND SUCH AN ABSTRACT CONCEPT? I mean she likes” the love” she has towards God and Jesus. she likes herself because she can recognize the importance of God and Jesus which is way harder to understand that one can draw or sing or anything like that and as a religious person I can assure you that what she says is the very essence of religion: to be connected to God through love and define yourself accordingly. Please say what is wrong with this statement (Religion wise)? Just because she feels lonely and doesn’t have many friends it means that she has some kind of disorder??? She gets As. she is so wise in responses and careful in making statements she says enough to convey her point of view and I should say she seems more a philosopher rather than an ADHD girl. I suggest to try some P4C (philosophy for children) materials to check my opinion and remember if a person of authority comes to u (even though u r an adult) and says you have a rare eye problem-for example- and repeat this for a while you start to think that your eyes have some kind of problem and after a while you even feel the problem physically!! let alone a child who has a long way to go to be independent and self-sufficient when u and her teachers label her with ADHD she starts to think negative and it is quite normal for her to say I wish I was another person! In Iran we have an old story about a JUST king who believed people should be the same in any way so he orders to measure his own height and then measure people one by one and anyone who was taller than him should be cut to be fit and anyone who is shorter should be stretched to be fit!!! This is exactly what society dose to copy and paste people in order to control them and makes political and social movements in his hands. Please do not let them to underestimate your girl who- as much as I could see- is fantastic in all ways. She could be a great writer or a great philosopher or has any position that needs an analytical mind. I appreciate your concerns about her but you need to be even stronger to find that way which is “not taken” yet. Bless u and your lovely Giuliana. That little girl is so lovely. I wish I could give her a big hug. Maybe it isn’t the children that are sick maybe it is the school system and society? I find humanity very cruel and barbaric and uncivilized! This is the message I’m hearing form this video. The society considers a child healthy if they are popular, get invited to all the parties, get straight A’s, excel at sports, love school, and is extroverted. If a child is shy, introverted, a loner, doesn’t always get the best grades, hates school has very few or no friends, doesn’t do well at sports or hates sports, etc. they are automatically considered sick and ADHD by society? If this is true the society is very narcissistic, shallow and narrow minded and sick and out of balance. This is truly a barbaric, cruel and uncivilized society. I believe the children are ok it is the parents school teachers and society that is truly sick! I undoubtedly appreciating every little touch of it I have you bookmarked to have a look at new material you post. I totally agree with you, you said it very well. This girl is a great thinker, and we should not put people in some boxes and say this is normal and this is not. I do not deny that ADHD exist, as soon as you label someone that it has mental issue or some other problem it will start think that that’s true. . It’s only visible that she feels unconfortable, but that problem can be solved with bulding her confidence and convice her that every A is a thing to be proud of. This is only my opinion, and I wish you all the best. I just viewed your video and was struck by how much it resonated with me. My ADD diagnosis did not happen until 30 years after I finished school.Those insecurities from childhood are still there and I am finally receiving support to deal with them. Despite finishing graduate school and having success both in my personal as well as my professional it still does not feel like I have accomplished anything. Thank you for producing this video as it certainly highlights the emotional impact of ADHD. I will definitely be writing Giuliana a letter! I hope she knows that there are other girls out there just like her who have dealt with the same issues and have been incredibly successful.